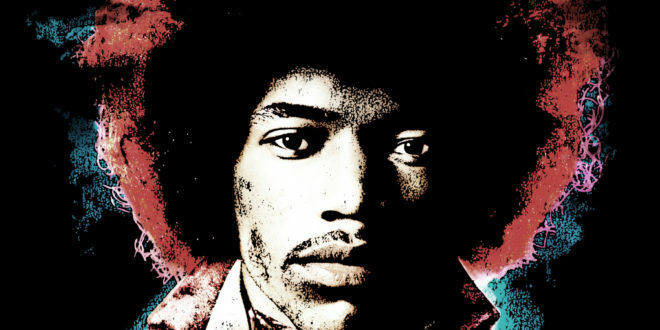 Fans looking for deeper engagement with the sounds of the ’60s will soon be able to pick up Jimi Hendrix comic books, collectable figures and dolls as well as high end fashion. These will form just a fraction of an extensive new global merchandising programme for Authentic Hendrix and Experience Hendrix, the Jimi Hendrix estate as they look to build out a Hendrix franchise. The announcement comes shortly after news of the Jimi Hendrix Electric Ladyland 50 Anniversary reissue and box set. The Electric Ladyland box set, to be released November 9, will include never-before shared music, photography and artwork. Janie Hendrix, CEO/President of Experience Hendrix and Authentic Hendrix, stated: “Jimi’s amazing artistry and his legacy are the driving force behind all that we do. "Keeping his music prominent within the industry is a responsibility bestowed upon us that we embrace. Jimi’s catalogue remains relevant, and he continues to influence the culture of modern music, inspiring artists and fans alike. ACCO for Calendars, American Classics for Apparel, American Needle for Headwear, Bentex Group for Infant and Toddler Apparel, C&D Visionary for Fan Merch, C-Life Group for Apparel, Chaser for Fashion Apparel and Get Primped for Fashion Tops. Meanwhile, there will also be Lucie Kaas for collectible Kokeshi Dolls (Worldwide), MJC for Sleepwear (Worldwide), EMP Merchandising for Apparel & Accessories (Europe), Blitzway for Collectible Figures (Worldwide), Molecule8 for High End Collectible Figures (Worldwide), Strax for Fine Art (Worldwide), GB Eye for Posters and Domestics (Worldwide excluding North America), Pyramid for Wall Art and Stationery (Worldwide) and Titan Publishing for Comic Books (Worldwide).